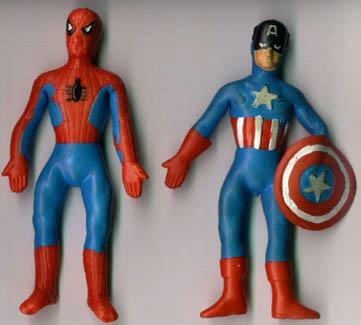 Mego Produced them from 1974-1975. Bend n' Flex Heroes were a nice accompaniement to the 8 inch WGSH. Cheap and colorful, they are charming in their cartoony clumsiness. 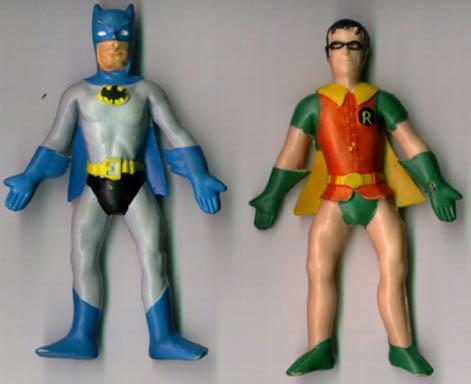 These three images are from the 1975 Mego Catalog showing the Super Gal bendies and the very creative and fun Super-Foes. This medium did allow for some imagination in design and variety in shape and scale.